South African Nobel Prize winning author Nadine Gordimer has been honoured with a special Google doodle on 20 November 2015, her 92nd birthday. She joins the likes of Nikolai Tesla, Hedy Lamarr and other famous but underrated icons of global history who have featured on the search engine's homepage. 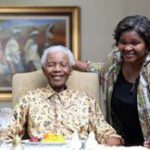 As the world prepares to honour Nelson Mandela on his 94th birthday on Wednesday, 18 July, Cadine Pillay wonders what meal might mean the most to the former statesman on his big day. 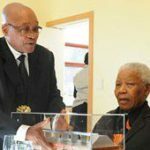 South African President Jacob Zuma paid a special visit to Nelson Mandela at his home in Qunu in the Eastern Cape on Monday, presenting him with an architect's model of the Nelson Mandela Legacy Bridge as a gift for his 93rd birthday. 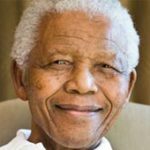 Millions of South Africans, those resident in the country as well as ex-pats, have wished happy birthday to Nelson Mandela – the former president celebrated his 93rd birthday on 18 July. 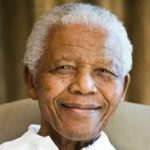 The world will be buzzing this Saturday: it's the birthday of the world's favourite person – Nelson Mandela turns 91 on 18 July. 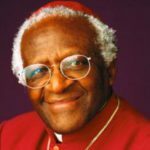 Archbishop Emeritus Desmond Tutu turns 77 on 7 October 2008. 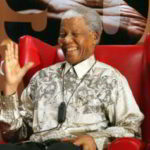 The charismatic cleric received the Nobel Peace Prize in 1994 and has won the admiration of the world as an outspoken moral voice and human rights campaigner.